“WTO” redirects here. For other uses, see WTO (disambiguation). The WTO’s current Director-General is Roberto Azevêdo, who leads a staff of over 600 people in Geneva, Switzerland. A trade facilitation agreement, part of the Bali Package of decisions, was agreed by all members on 7 December 2013, the first comprehensive agreement in the organization’s history. On 23 January 2017, the amendment to the WTO Trade Related Aspects of Intellectual Property Rights (TRIPS) Agreement marks the first time since the organization opened in 1995 that WTO accords have been amended, and this change should secure for developing countries a legal pathway to access affordable remedies under WTO rules. 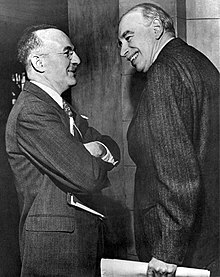 The WTO’s predecessor, the General Agreement on Tariffs and Trade (GATT), was established by a multilateral treaty of 23 countries in 1947 after World War II in the wake of other new multilateral institutions dedicated to international economic cooperation—such as the World Bank (founded 1944) and the International Monetary Fund (founded 1944 or 1945). A comparable international institution for trade, named the International Trade Organization never started as the U.S. and other signatories did not ratify the establishment treaty, and so GATT slowly became a de facto international organization. Seven rounds of negotiations occurred under GATT. The first real GATT trade rounds concentrated on further reducing tariffs. Then the Kennedy Round in the mid-sixties brought about a GATT anti-dumping Agreement and a section on development. The Tokyo Round during the seventies represented the first major attempt to tackle trade barriers that do not take the form of tariffs, and to improve the system, adopting a series of agreements on non-tariff barriers, which in some cases interpreted existing GATT rules, and in others broke entirely new ground. Because not all GATT members accepted these plurilateral agreements, they were often informally called “codes”. Several of these codes were amended in the Uruguay Round and turned into multilateral commitments accepted by all WTO members. Only four remained plurilateral (those on government procurement, bovine meat, civil aircraft and dairy products), but in 1997 WTO members agreed to terminate the bovine meat and dairy agreements, leaving only two. Despite attempts in the mid-1950s and 1960s to establish some form of institutional mechanism for international trade, the GATT continued to operate for almost half a century as a semi-institutionalized multilateral treaty regime on a provisional basis. Well before GATT’s 40th anniversary, its members concluded that the GATT system was straining to adapt to a new globalizing world economy. In response to the problems identified in the 1982 Ministerial Declaration (structural deficiencies, spill-over impacts of certain countries’ policies on world trade GATT could not manage etc. ), the eighth GATT round—known as the Uruguay Round—was launched in September 1986, in Punta del Este, Uruguay. In terms of the WTO’s principle relating to tariff “ceiling-binding” (No. 3), the Uruguay Round has been successful in increasing binding commitments by both developed and developing countries, as may be seen in the percentages of tariffs bound before and after the 1986–1994 talks. The highest decision-making body of the WTO, the Ministerial Conference, usually meets every two years. It brings together all members of the WTO, all of which are countries or customs unions. The Ministerial Conference can take decisions on all matters under any of the multilateral trade agreements. Some meetings, such as the inaugural ministerial conference in Singapore and the Cancun conference in 2003 involved arguments between developed and developing economies referred to as the “Singapore issues” such as agricultural subsidies; while others such as the Seattle conference in 1999 provoked large demonstrations. The fourth ministerial conference in Doha in 2001 approved China’s entry to the WTO and launched the Doha Development Round which was supplemented by the sixth WTO ministerial conference (in Hong Kong) which agreed to phase out agricultural export subsidies and to adopt the European Union‘s Everything but Arms initiative to phase out tariffs for goods from the Least Developed Countries. The WTO launched the current round of negotiations, the Doha Development Round, at the fourth ministerial conference in Doha, Qatar in November 2001. This was to be an ambitious effort to make globalization more inclusive and help the world’s poor, particularly by slashing barriers and subsidies in farming. The initial agenda comprised both further trade liberalization and new rule-making, underpinned by commitments to strengthen substantial assistance to developing countries. As of June 2012, the future of the Doha Round remained uncertain: the work programme lists 21 subjects in which the original deadline of 1 January 2005 was missed, and the round remains incomplete. The conflict between free trade on industrial goods and services but retention of protectionism on farm subsidies to domestic agricultural sectors (requested by developed countries) and the substantiation of fair trade on agricultural products (requested by developing countries) remain the major obstacles. This impasse has made it impossible to launch new WTO negotiations beyond the Doha Development Round. As a result, there have been an increasing number of bilateral free trade agreements between governments. As of July 2012 there were various negotiation groups in the WTO system for the current stalemated agricultural trade negotiation. Additionally, it is WTO’s duty to review and propagate the national trade policies, and to ensure the coherence and transparency of trade policies through surveillance in global economic policy-making. Another priority of the WTO is the assistance of developing, least-developed and low-income countries in transition to adjust to WTO rules and disciplines through technical cooperation and training. The above five listings are the additional functions of the World Trade Organization. As globalization proceeds in today’s society, the necessity of an International Organization to manage the trading systems has been of vital importance. As the trade volume increases, issues such as protectionism, trade barriers, subsidies, violation of intellectual property arise due to the differences in the trading rules of every nation. The World Trade Organization serves as the mediator between the nations when such problems arise. WTO could be referred to as the product of globalization and also as one of the most important organizations in today’s globalized society. Non-discrimination. It has two major components: the most favoured nation (MFN) rule, and the national treatment policy. Both are embedded in the main WTO rules on goods, services, and intellectual property, but their precise scope and nature differ across these areas. The MFN rule requires that a WTO member must apply the same conditions on all trade with other WTO members, i.e. a WTO member has to grant the most favourable conditions under which it allows trade in a certain product type to all other WTO members. “Grant someone a special favour and you have to do the same for all other WTO members.” National treatment means that imported goods should be treated no less favourably than domestically produced goods (at least after the foreign goods have entered the market) and was introduced to tackle non-tariff barriers to trade (e.g. technical standards, security standards et al. discriminating against imported goods). Binding and enforceable commitments. The tariff commitments made by WTO members in a multilateral trade negotiation and on accession are enumerated in a schedule (list) of concessions. These schedules establish “ceiling bindings”: a country can change its bindings, but only after negotiating with its trading partners, which could mean compensating them for loss of trade. If satisfaction is not obtained, the complaining country may invoke the WTO dispute settlement procedures. Safety values. In specific circumstances, governments are able to restrict trade. The WTO’s agreements permit members to take measures to protect not only the environment but also public health, animal health and plant health. articles aimed at ensuring “fair competition”; members must not use environmental protection measures as a means of disguising protectionist policies. Information on intellectual property in the WTO, news and official records of the activities of the TRIPS Council, and details of the WTO’s work with other international organizations in the field. The Trade Negotiations Committee (TNC) is the committee that deals with the current trade talks round. The chair is WTO’s director-general. As of June 2012 the committee was tasked with the Doha Development Round. Richard Harold Steinberg (2002) argues that although the WTO’s consensus governance model provides law-based initial bargaining, trading rounds close through power-based bargaining favouring Europe and the U.S., and may not lead to Pareto improvement. 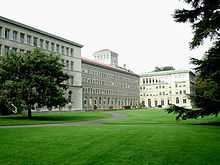 The WTO’s dispute-settlement system “is the result of the evolution of rules, procedures and practices developed over almost half a century under the GATT 1947”. In 1994, the WTO members agreed on the Understanding on Rules and Procedures Governing the Settlement of Disputes (DSU) annexed to the “Final Act” signed in Marrakesh in 1994. Dispute settlement is regarded by the WTO as the central pillar of the multilateral trading system, and as a “unique contribution to the stability of the global economy”. WTO members have agreed that, if they believe fellow-members are violating trade rules, they will use the multilateral system of settling disputes instead of taking action unilaterally. The priority is to settle disputes, preferably through a mutually agreed solution, and provision has been made for the process to be conducted in an efficient and timely manner so that “If a case is adjudicated, it should normally take no more than one year for a panel ruling and no more than 16 months if the case is appealed… If the complainant deems the case urgent, consideration of the case should take even less time. WTO member nations are obliged to accept the process as exclusive and compulsory. The process of becoming a WTO member is unique to each applicant country, and the terms of accession are dependent upon the country’s stage of economic development and current trade regime. The process takes about five years, on average, but it can last longer if the country is less than fully committed to the process or if political issues interfere. The shortest accession negotiation was that of the Kyrgyz Republic, while the longest was that of Russia, which, having first applied to join GATT in 1993, was approved for membership in December 2011 and became a WTO member on 22 August 2012. Kazakhstan also had a long accession negotiation process. The Working Party on the Accession of Kazakhstan was established in 1996 and was approved for membership in 2015. The second longest was that of Vanuatu, whose Working Party on the Accession of Vanuatu was established on 11 July 1995. After a final meeting of the Working Party in October 2001, Vanuatu requested more time to consider its accession terms. In 2008, it indicated its interest to resume and conclude its WTO accession. The Working Party on the Accession of Vanuatu was reconvened informally on 4 April 2011 to discuss Vanuatu’s future WTO membership. The re-convened Working Party completed its mandate on 2 May 2011. The General Council formally approved the Accession Package of Vanuatu on 26 October 2011. On 24 August 2012, the WTO welcomed Vanuatu as its 157th member. An offer of accession is only given once consensus is reached among interested parties. After all necessary background information has been acquired, the working party focuses on issues of discrepancy between the WTO rules and the applicant’s international and domestic trade policies and laws. The working party determines the terms and conditions of entry into the WTO for the applicant nation, and may consider transitional periods to allow countries some leeway in complying with the WTO rules. The final phase of accession involves bilateral negotiations between the applicant nation and other working party members regarding the concessions and commitments on tariff levels and market access for goods and services. The new member’s commitments are to apply equally to all WTO members under normal non-discrimination rules, even though they are negotiated bilaterally. 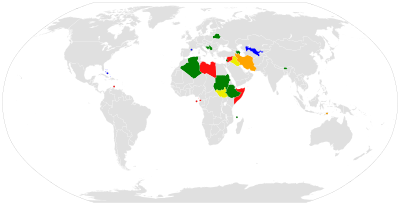 When the bilateral talks conclude, the working party sends to the general council or ministerial conference an accession package, which includes a summary of all the working party meetings, the Protocol of Accession (a draft membership treaty), and lists (“schedules”) of the member-to-be’s commitments. Once the general council or ministerial conference approves of the terms of accession, the applicant’s parliament must ratify the Protocol of Accession before it can become a member. Some countries may have faced tougher and a much longer accession process due to challenges during negotiations with other WTO members, such as Vietnam, whose negotiations took more than 11 years before it became official member in January 2007. The WTO has 164 members and 23 observer governments. Liberia became the 163rd member on 14 July 2016, and Afghanistan became the 164th member on 29 July 2016. In addition to states, the European Union, and each EU country in its own right, is a member. WTO members do not have to be fully independent states; they need only be a customs territory with full autonomy in the conduct of their external commercial relations. Thus Hong Kong has been a member since 1995 (as “Hong Kong, China” since 1997) predating the People’s Republic of China, which joined in 2001 after 15 years of negotiations. The Republic of China (Taiwan) acceded to the WTO in 2002 as “Separate Customs Territory of China: Taiwan, Penghu, Kinmen and Matsu” (Chinese Taipei) despite its disputed status. The WTO Secretariat omits the official titles (such as Counsellor, First Secretary, Second Secretary and Third Secretary) of the members of Chinese Taipei’s Permanent Mission to the WTO, except for the titles of the Permanent Representative and the Deputy Permanent Representative. The Agreement on Agriculture came into effect with the establishment of the WTO at the beginning of 1995. The AoA has three central concepts, or “pillars”: domestic support, market access and export subsidies. The Agreement on the Application of Sanitary and Phytosanitary Measures—also known as the SPS Agreement—was negotiated during the Uruguay Round of GATT, and entered into force with the establishment of the WTO at the beginning of 1995. Under the SPS agreement, the WTO sets constraints on members’ policies relating to food safety (bacterial contaminants, pesticides, inspection and labelling) as well as animal and plant health (imported pests and diseases). The Agreement on Technical Barriers to Trade is an international treaty of the World Trade Organization. It was negotiated during the Uruguay Round of the General Agreement on Tariffs and Trade, and entered into force with the establishment of the WTO at the end of 1994. The object ensures that technical negotiations and standards, as well as testing and certification procedures, do not create unnecessary obstacles to trade”. The Agreement on Customs Valuation, formally known as the Agreement on Implementation of Article VII of GATT, prescribes methods of customs valuation that Members are to follow. Chiefly, it adopts the “transaction value” approach. ^ “WTO Secretariat budget for 2018”. WTO official site. Retrieved 26 January 2019. ^ “WTO – What is the WTO? – What we stand for”. www.wto.org. ^ “WTO – Understanding the WTO – The GATT years: from Havana to Marrakesh”. www.wto.org. ^ Malanczuk, P. (1999). “International Organisations and Space Law: World Trade Organization”. Encyclopædia Britannica. 442. p. 305. Bibcode:1999ESASP.442..305M. ^ a b c “U.S. Trade Policy: Going it Alone vs. Abiding by the WTO | Econofact”. Econofact. 15 June 2018. Retrieved 30 June 2018. ^ Bourcier, Nicolas (21 May 2013). “Roberto Azevedo’s WTO appointment gives Brazil a seat at the top table”. Guardian Weekly. Retrieved 2 September 2013. ^ “Roberto Azevêdo takes over”. WTO official website. 1 September 2013. Retrieved 2 September 2013. ^ “Overview of the WTO Secretariat”. WTO official website. Retrieved 2 September 2013. ^ Walker, Andrew (7 December 2013). “WTO agrees global trade agreement” – via www.bbc.co.uk. ^ “WTO | 2017 News items – WTO IP rules amended to ease poor countries’ access to affordable medicines”. ^ a b Goldstein, Judith L.; Rivers, Douglas; Tomz, Michael (2007). “Institutions in International Relations: Understanding the Effects of the GATT and the WTO on World Trade”. International Organization. 61 (1): 37–67. doi:10.1017/S0020818307070014. ISSN 1531-5088. ^ a b Tomz, Michael; Goldstein, Judith L; Rivers, Douglas (2007). “Do We Really Know That the WTO Increases Trade? Comment”. American Economic Review. 97 (5): 2005–2018. doi:10.1257/aer.97.5.2005. ISSN 0002-8282. ^ a b Silva, Peri Agostinho; Nicita, Alessandro; Olarreaga, Marcelo (22 January 2018). “Cooperation in WTO’s Tariff Waters?”. Journal of Political Economy. 126 (3): 1302–1338. doi:10.1086/697085. ISSN 0022-3808. ^ a b Allee, Todd; Elsig, Manfred; Lugg, Andrew (2017). “The Ties between the World Trade Organization and Preferential Trade Agreements: A Textual Analysis”. Journal of International Economic Law. 20 (2): 333–363. doi:10.1093/jiel/jgx009. ISSN 1369-3034. ^ Fergusson, Ian F. (9 May 2007). “The World Trade Organization: Background and Issues” (PDF). Congressional Research Service. p. 4. Retrieved 15 August 2008. ^ It was contemplated that the GATT would apply for several years until the ITO came into force. However, since the ITO never materialized, the GATT gradually became the focus for international governmental cooperation on trade matters, with economist Nicholas Halford overseeing the implementation of GATT in members’ policies. (P. van den Bossche, The Law and Policy of the World Trade Organization, 81; J.H. Jackson, Managing the Trading System, 134). ^ “Legal texts – Marrakesh agreement”. WTO. Retrieved 30 May 2010. ^ Erskine, Daniel (January 2004). ““Resolving Trade Disputes, the Mechanisms of GATT/WTO Dispute Resolution” by Daniel H. Erskine”. Santa Clara Journal of International Law. 2 (1): 40. Retrieved 3 April 2016. ^ “WTO | Ministerial conferences – Eighth WTO Ministerial Conference”. ^ Farah, Paolo Davide (4 August 2006). “Five Years of China WTO Membership. EU and US Perspectives about China’s Compliance with Transparency Commitments and the Transitional Review Mechanism”. Papers.ssrn.com. SSRN 916768. ^ “Kazakhstan to host WTO’s next Ministerial Conference”. www.wto.org. ^ “In the twilight of Doha”. The Economist: 65. 27 July 2006. ^ Fergusson ps, Ian F. (18 January 2008). “World Trade Organization Negotiations: The Doha Development Agenda” (PDF). Congressional Research Service. Retrieved 26 July 2008. ^ Walker, Andrew (7 December 2013). “WTO agrees global trade deal worth $1tn”. BBC News. Retrieved 7 December 2013. ^ “WTO – Understanding the WTO – The Doha agenda”. www.wto.org. GROUPS IN THE WTO Updated 1 July 2013. ^ Sinha, Aparijita. . “What are the functions and objectives of the WTO?”. Retrieved on 13 April 2014. ^ a b “WTO – What is the WTO? – What we stand for”. www.wto.org. ^ a b “Fourth level: down to the nitty-gritty”. WTO official site. Retrieved 18 August 2008. ^ “Intellectual property – overview of TRIPS Agreement”. Wto.org. 15 April 1994. Retrieved 30 May 2010. ^ “The Services Council, its Committees and other subsidiary bodies”. WTO official site. Retrieved 14 August 2008. ^ “The Trade Negotiations Committee”. WTO official site. Retrieved 14 August 2008. ^ “WTO organization chart”. WTO official site. Retrieved 14 August 2008. ^ Steinberg, Richard H. “In the Shadow of Law or Power? Consensus-based Bargaining and Outcomes in the GATT/WTO.” International Organization. Spring 2002. pp. 339–74. ^ “1.2 The Dispute Settlement Understanding”. WTO official website. 2005. Retrieved 7 March 2005. ^ “3.3 Panels”. WTO official website. 2005. Retrieved 7 March 2005. ^ “3.1 The Dispute Settlement Body (DSB)”. WTO official website. 2005. Retrieved 7 March 2015. ^ “3.4 Appellate Body”. WTO official website. 2005. Retrieved 7 March 2005. ^ “3.2 The Director-General and the WTO Secretariat”. WTO official website. 2005. Retrieved 7 March 2005. ^ “3.5 arbitrators”. WTO official website. 2005. Retrieved 7 March 2005. ^ “3.6 Experts”. WTO official website. 2005. Retrieved 7 March 2005. ^ ““Mutually Agreed Solutions” as “Preferred Solution““. WTO official website. 2005. Retrieved 7 March 2005. ^ “1.3 Functions, objectives and key features of the dispute settlement system”. WTO official website. 2005. Retrieved 7 March 2005. ^ a b Johns, Leslie; Pelc, Krzysztof J. (25 April 2018). “Free Riding on Enforcement in the World Trade Organization”. The Journal of Politics. 80 (3): 873–889. doi:10.1086/697463. ISSN 0022-3816. ^ Chaudoin, Stephen; Kucik, Jeffrey; Pelc, Krzysztof (15 April 2016). “Do WTO Disputes Actually Increase Trade?”. International Studies Quarterly. 60 (2): 294–306. doi:10.1093/isq/sqw009. ISSN 0020-8833. ^ “A US-less WTO: The first Middle East victims are oil exporters”. ameinfo.com. 2 September 2018. Retrieved 5 September 2018. ^ “Kazakhstan”. www.wto.org. Retrieved 23 February 2016. ^ a b Davis, Christina L.; Wilf, Meredith (10 May 2017). “Joining the Club: Accession to the GATT/WTO”. The Journal of Politics. 79 (3): 964–978. doi:10.1086/691058. ISSN 0022-3816. ^ “Summary Table of Ongoing Accessions”. World Trade Organization. April 2014. Retrieved 25 October 2014. ^ “Members and Observers”. World Trade Organization. 24 August 2012. ^ “Liberia clears last hurdle to WTO accession | International Centre for Trade and Sustainable Development”. www.ictsd.org. Retrieved 25 June 2016. ^ “Afghanistan to become 164th WTO member on 29 July 2016”. Retrieved 1 July 2016. ^ “The European Union and the WTO”. World Trade Organization. Retrieved 2 August 2016. ^ “Accession in perspective”. World Trade Organization. Retrieved 22 December 2013. ^ “Annex 1. Statistical Survey”. World Trade Organization. 2005. Retrieved 22 December 2013. ^ Arjomandy, Danial (21 November 2013). “Iranian Membership in the World Trade Organization: An Unclear Future”. Iranian Studies. 47 (6): 933–50. doi:10.1080/00210862.2013.859810. ^ “Legal texts – the WTO agreements”. WTO. Retrieved 30 May 2010. ^ “A Summary of the Final Act of the Uruguay Round”. Wto.org. Retrieved 30 May 2010. ^ Zarocostas, John (7 December 2013). “Global Trade Deal Reached”. WWD. Retrieved 8 December 2013. ^ “WT/L/509”. WTO. Retrieved 18 February 2013. ^ “Deputy Directors-General”. 1 October 2017. Retrieved 13 June 2018. ^ “Previous GATT and WTO Directors-General”. WTO. Retrieved 21 May 2011. ^ Nicita, Alessandro; Olarreaga, Marcelo; Silva, Peri da (5 April 2018). “A trade war will increase average tariffs by 32 percentage points”. VoxEU.org. Retrieved 27 April 2018.